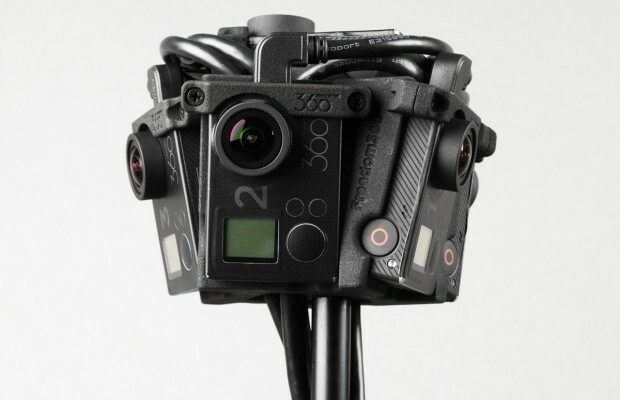 A dedicated and optimized mount for 360º video live streaming. 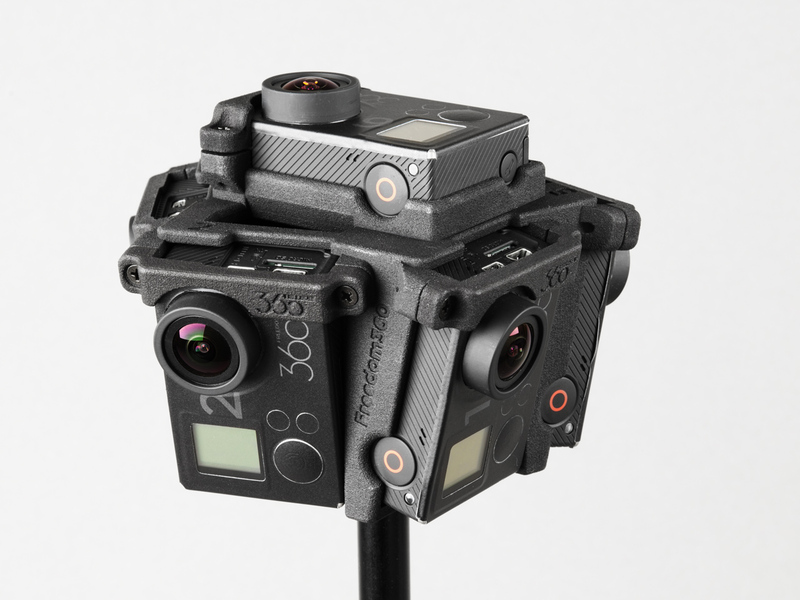 The F360 Broadcaster Mount is a mount dedicated for 360º video live streaming. 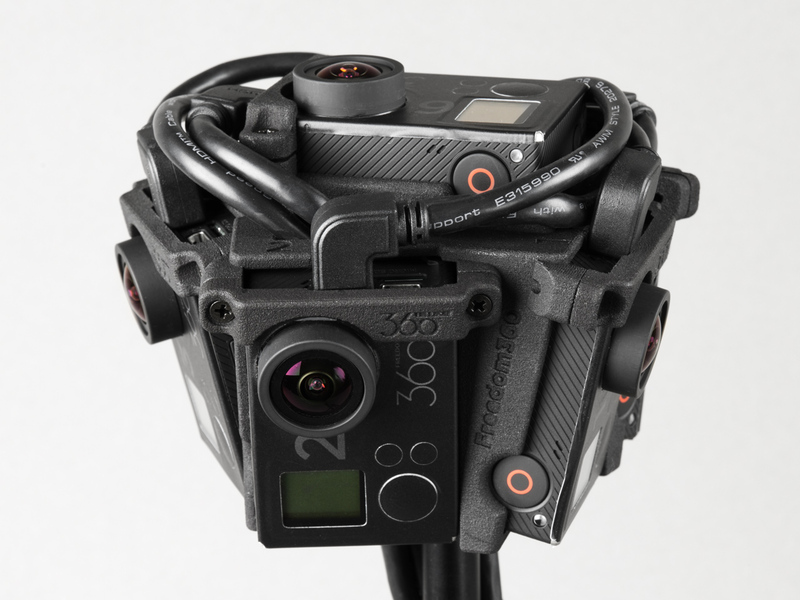 Extra space inside the mount allows for neat cable management. 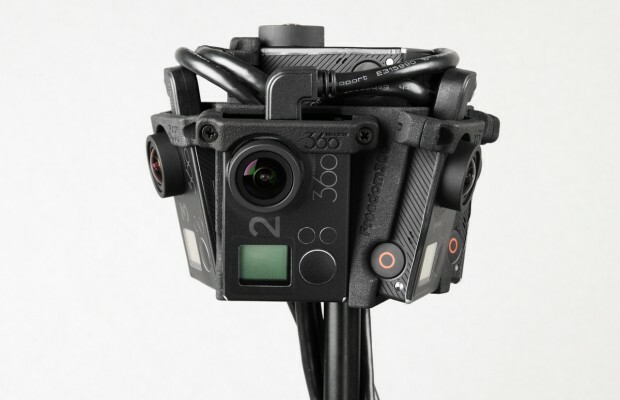 Insert six GoPro Hero 4/3+/3 cameras into the appropriate slots, fix them in place with the numbered mounting braces, mount it to the support you are intending to use (i.e. 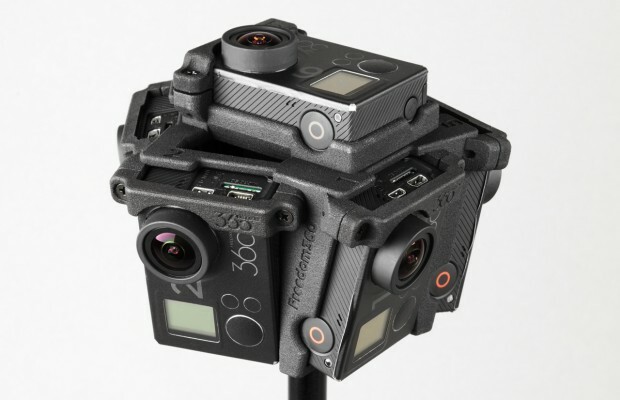 monopod) and plug six angled mini HDMI cables into the cameras for frame grabbing. Power your cameras via USB or use battery eliminators connected to an external power source. 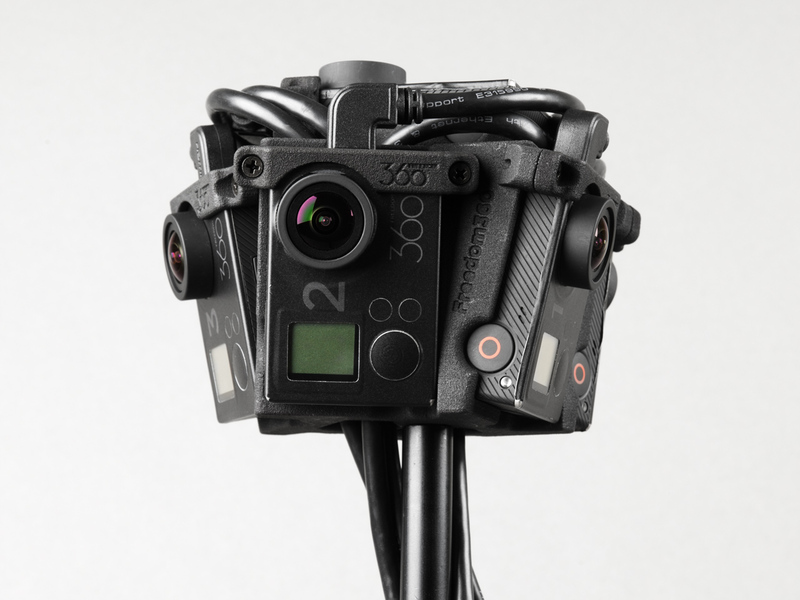 The unique geometry minimizes the downward (or upward, if rigged from the ceiling) blindspot to only 40º, a perfect place to hide all cables. 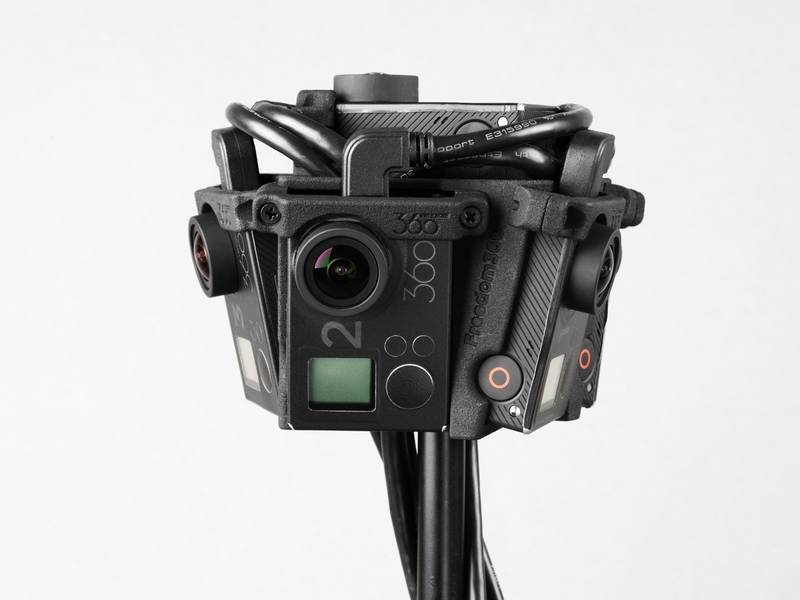 The 3/8 female connector is slightly offset from the center to give more room for cables. 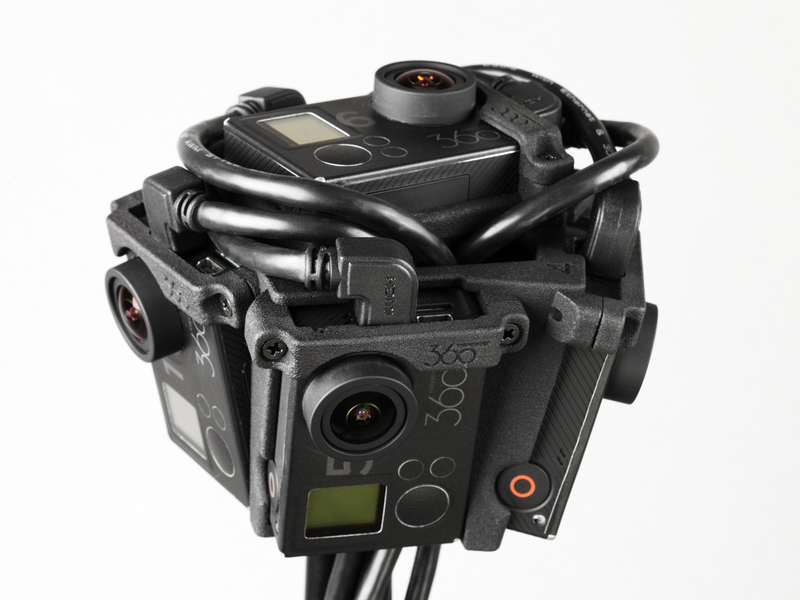 The mini HDMI cables are fed through the mount and cutouts on the top allows to connect them to the GoPro cameras. 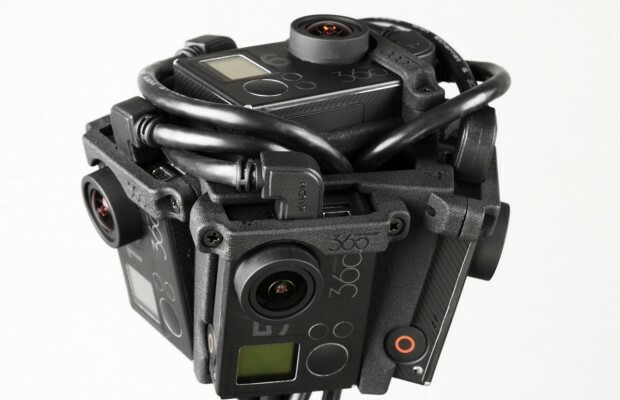 At the same time the F360 Broadcaster is incredibly compact. The camera lenses are optimally arranged to achieve maximum overlap between adjacent fields of view. 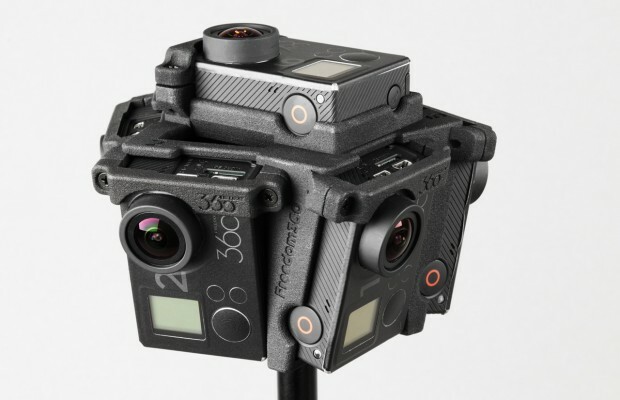 The F360 Broadcaster can also be used for regular 360º video recording. 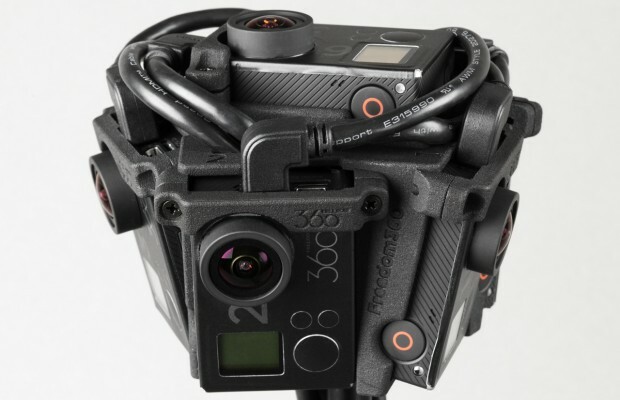 A 360º x 140º limited view can be achieved. However, due to the blindspot greater care has to be taken in regards to camera orientation. 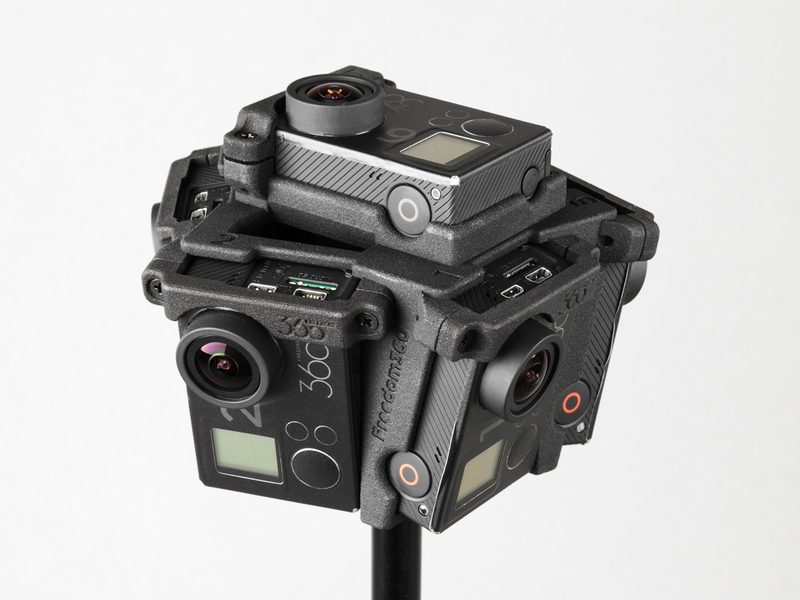 F360 Basic Ball Tripod to act as a stand for the carbon-fiber pole. Super clamp to suspend the carbon-fiber monopod from the ceiling.